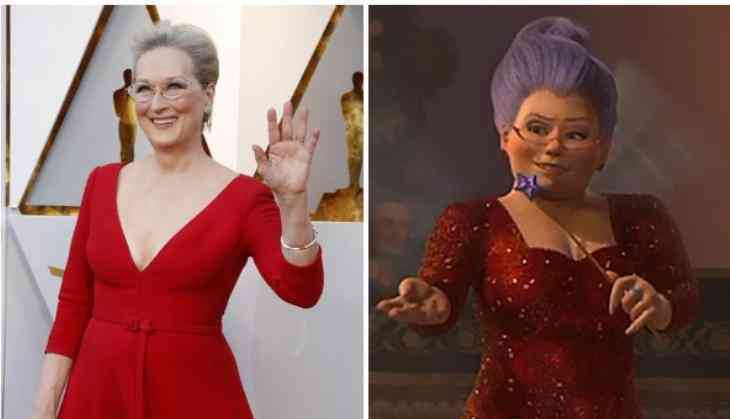 Fans are in hysterics as they compared the Meryl Streep's red Dior gown, worn to Oscars 2018, to the one worn by fairy godmother in Shrek franchise. Infact, not only her dress, the fans found resemblance in her glasses and hairdo as well. Fans took to Twitter to share their humour. One user wrote, "Why did Meryl Streep attended the ceremony dressed as the Fairy godmother from Shrek? #Oscars". Meryl Streep is the fairy god mother from Shrek.